Anant’s life seemed to have changed tremendously after his first, memorable contact with Swami. He began to study hard for his Bachelors of Science course and was supported by Mr. Sachdeva. Immersed in his studies, he could not come to Swami that often. And maybe that was the reason why Baba chose to go to him! It was the period of the annual examinations in the first week of March when Anant feel sick with typhoid. The fever was intermittent - it would subside in the morning but hit highs of 104 degrees Fahrenheit during the nights. March also happened to be the month for sevadals from Madhya Pradesh to service in Prashanti Nilayam and so he had no Sai brothers to help him. Added to this was a new menace which answered to the name of Suman Malik. Used to drinking, smoking and bad company, Suman would often tease Anant about Swami and even post teasing and nasty posters on his room's door. One morning when the sick Anant was still lying on his bed, Suman comes to his door and knocks. Anant (from within): Who is it? Suman: It is I, Suman. Open your door. Anant: Please leave me alone. I am not feeling well and have lots to study. Suman: You just open the door once. Anant: Last night I had unbearable stomach ache. The doctor has sedated me with an injection. Please leave me alone. Suman (knocking more): You have to open the door. And so, Anant, weak from his illness, walks to the door and unlatches it. Suman: What is this fragrance in your room! It is pervading all the corridors! Anant: I have no idea. (Switches on the light) Now I too am getting it! 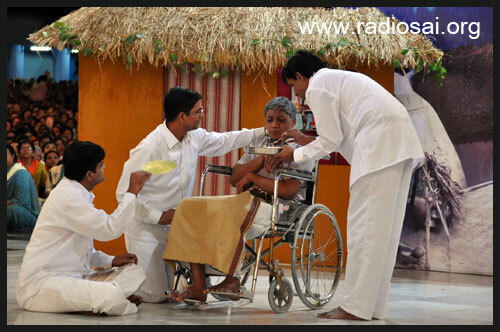 Anant (second from left) performing in a drama in the divine presence. “As soon as the light came on, we saw vibhuti everywhere. It was there literally on everything in the room; it was all over me too - even inside my inner clothes! The drawers, bed, chair, table, mirror, floor and walls had been covered with this perfumed ash. The Lord’s Grace is what makes an instrument. There is nothing special about being an instrument if we are not grateful for the chance and opportunity that has been given. Though he recovered from his illness, Anant never reached the pink of his health. In August 2002, when he was doing duty as a Sevadal volunteer in front of Swami’s residence, he was blessed with a lovely experience. One day, Swami came out for darshan and looked deep into his eyes as He passed him. He gained in strength after that and the ultimate experience came the week later, on August 16, when Swami came to him, gave him an apple and asked, “How are you feeling now?” And that apple has kept the doctor away from Anant ever since! It was during this time that Anant came to know about Sri Sathya Sai Grama Seva programmes and wished that it be replicated by the youth in every state. He wrote his first letter to Swami with that same prayer. Swami accepted it. A year later, Anant was posted as a volunteer at the gates of the senior boys hostel. He met Mr. Srinivas Srirangarajan (a teacher in Swami’s University then and now the Controller of Examinations), who affectionately made him his younger brother. Anant had a great desire to study in Baba’s University but that was being thwarted by his repeated failures in Chemistry in his final year of his graduation course. All the while he was encouraged and assisted in every way possible by his God-given elder brother. In the summer of 2006, Anant received another message from Swami. Anant failed again in Chemistry and it was only in 2008 that he finally managed to become a graduate. Again, a string of ‘coincidences’ worked in his favour and he was admitted for Masters in Sciences (Statistics) in the Loyola College in Chennai. 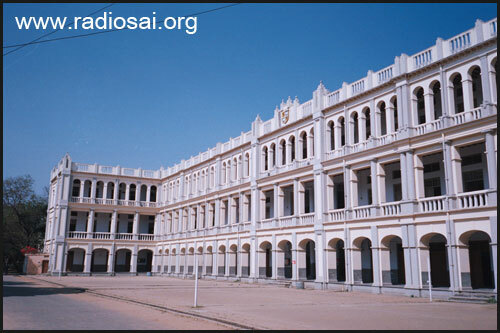 Here he got actively involved with the youth wing of the city and led his life, the way he would have done in a Sri Sathya Sai Hostel. In fact he started a campaign in the college. 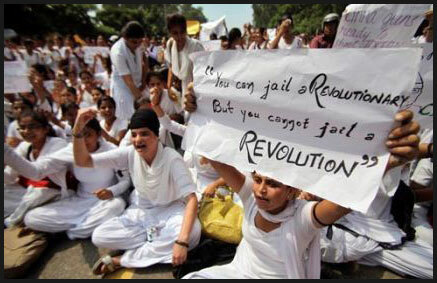 More than 80% of the students were Hindus who were hurt with beef being served in the canteen. Anant carried out a forceful operation against this. Many students joined him in this peaceful agitation and the administration of the Loyola college did succumb under the pressure. It was during this time when he was in Delhi that he heard about Anna Hazare and his fight to end corruption in India. “I was a strong patriot right from my childhood; if it comes to that I would not think twice even in giving myself up completely for the sake of my country. 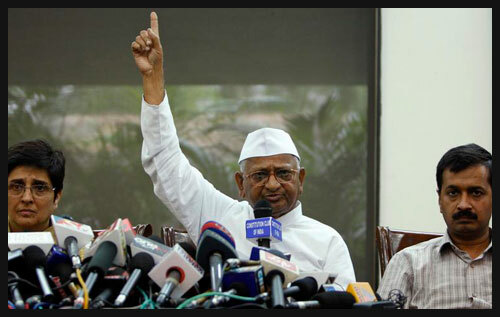 So when I heard about Anna Hazare's movement I wrote to Arvind Kejriwal who works closely with Anna. He replied and soon we met; we started working together in planning the mass satyagraha that was scheduled for August 15. When I was engaged in this, I had the opportunity to meet Anna Hazare. 12,000 people! Was that a terrible experience? Anant was very happy to have met Anna and learn about his views about Baba. But he longed to return to Puttaparthi and that is what he did as for Him the source of all dharma, the powerhouse of all dharma is Bhagawan Baba. And now all he wants to do in his life is to be a living example of His message and be an instrument in His hands. Young in health and spirit, Anant now is raring to be a sterling messenger of Sai. And his life is a testimony to the fact that God holds the hands of those who hold on to truth and righteousness. He was all alone. He had no clue where those saints were. However as he climbed higher, breathing became difficult. His face was now swollen. His fingers started becoming numb. Worse, blood started dripping from his nose. His body could no longer take the harsh, chill and oxygen-starved environment. His vision was now blurred... and then it went blank! He just collapsed on that icy slope. The next moment, a saint appeared on the scene. He carefully lifted and carried him on his arms. He then took him to his cave. And started nursing him; he massaged his limbs with oil. After a while, Anant slowly regained consciousness. The good samaritan saint then offered him two big tumblers of hot milk. And finally when Anant opened his eyes he saw that in a corner of that small cave was a tiny lamp burning steadily and next to it was a small photo of, none other than, our beloved Swami. "Where do you come from?" the saint asked. "Oh... from Puttaparthi!" The saint laughed aloud. "So, why are you here?" He was amused and curious. 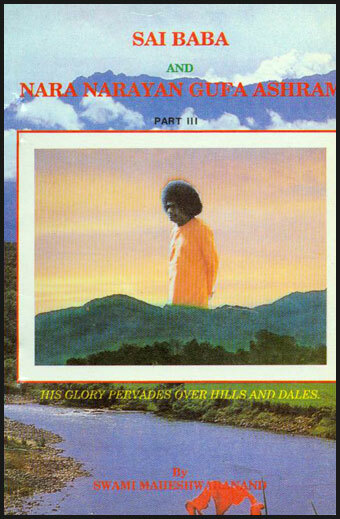 "I want to go to Nara Narayana Gufa ashram?" the young man replied. "Oh... even I have not gone there! It is very difficult!" "Take my advise. Go back. 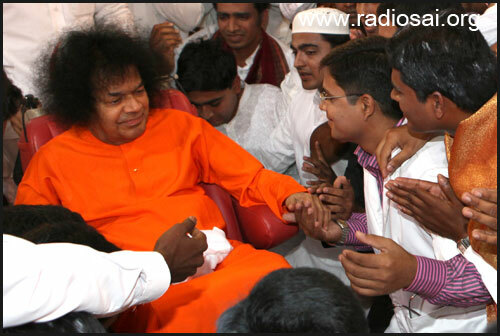 It is nearly impossible to go there..."
Anant was not fully convinced and as the conversation continued, the saint suddenly asked, "Who do you think is Sai Baba?" "He is Kaliyuga Avatar! He is God! I believe in Him!" Anant replied. "Who says that? He is not Kaliyuga Avatar!" The saint shot back with equal zeal. Anant was taken aback. He insisted: "For me, He is God! 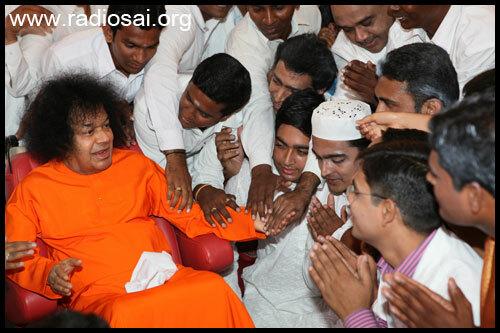 I have enjoyed His darshan and love at Puttaparthi." "He is not Kaliyuga Avatar," the saint reiterated and then continued in a tone resonating deep-rooted conviction, "He is beyond that!... Arrey, if He wants He can create any number of Kaliyug Avatars! He can create a Rama, a Krishna... whatever He wants! Whenever He wants! ...you just go back to Puttaparthi!" With that statement, the saint escorted Anant to the Badrinath shrine and left him there with directions to return to Puttaparthi.